Our sporty space-themed T-shirt is bound to inspire star seekers to run as fast as a rocket. 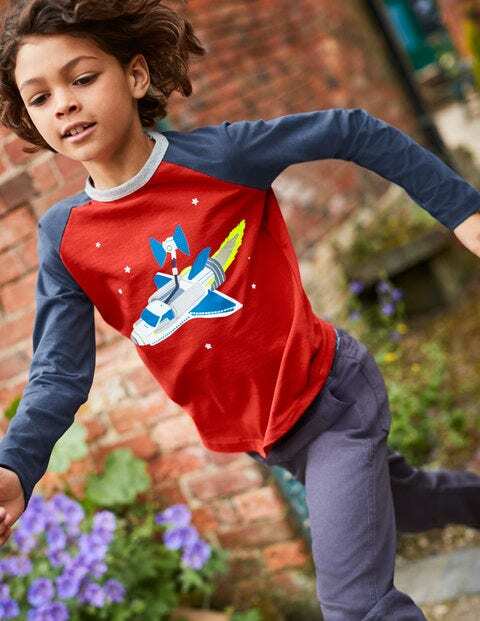 We crafted this raglan style from supersoft cotton and added long sleeves for extra cosiness – after all, astronauts-in-training need to be comfortable. Contrasting colours and foil prints will capture any aspiring stargazer's imagination.